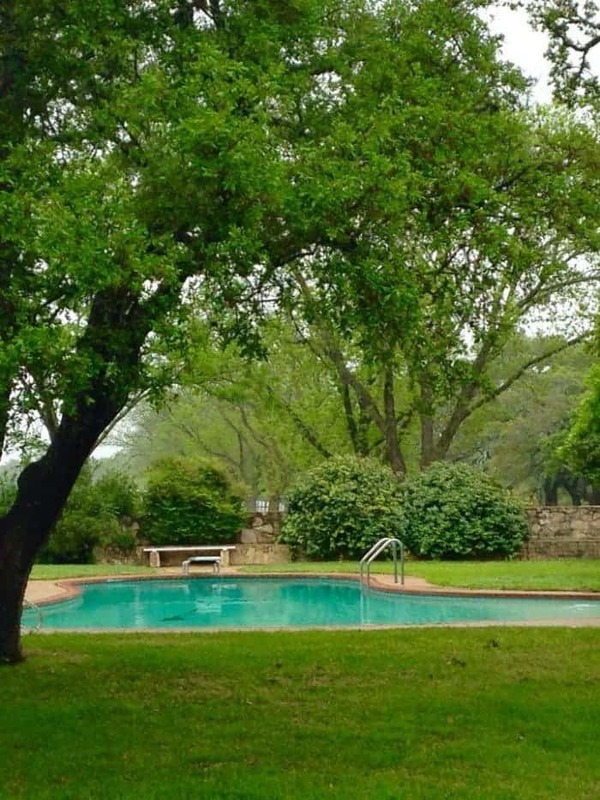 Located in Texas Hill Country, Fredericksburg is ideal for your next family vacation. There’s plenty for families to enjoy together as well as more adult offerings. 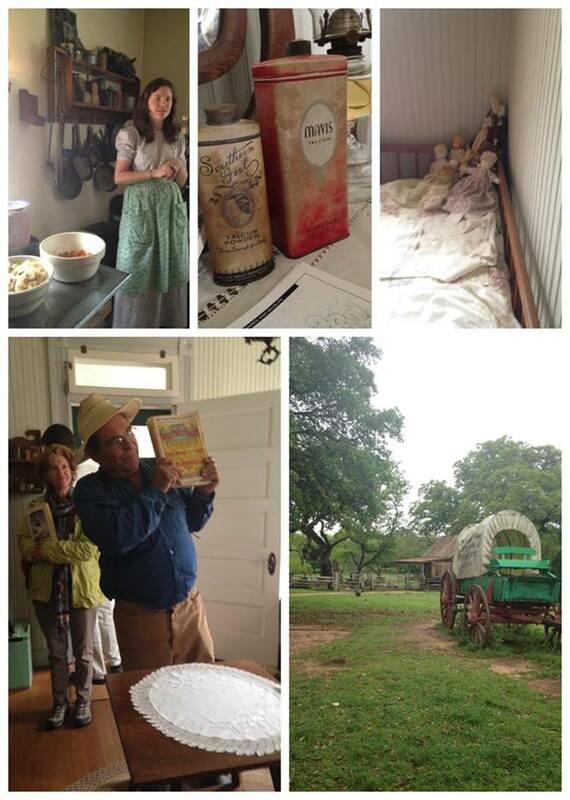 If you are a homeschool family, you’ll be delighted with all of the learning opportunities in Fredericksburg. With so many family travel destinations, planning a family vacation can be overwhelming. 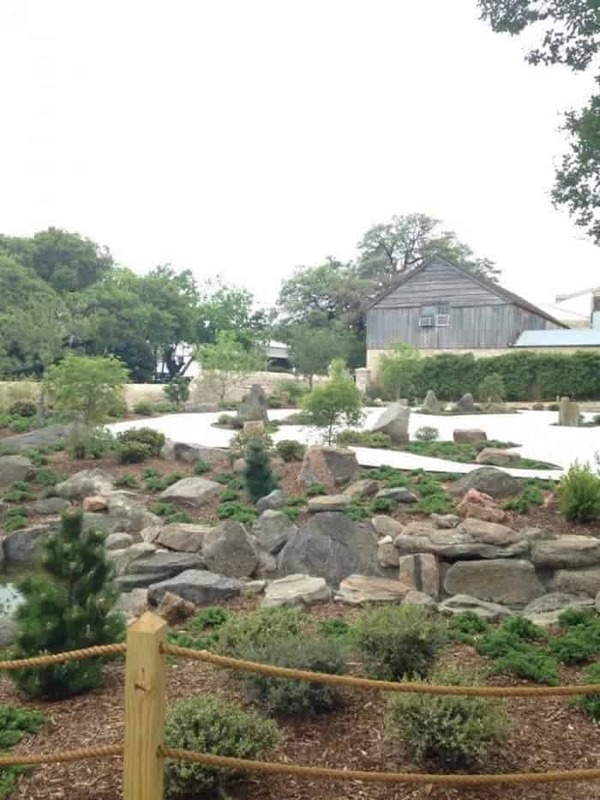 Consider a visit to Fredericksburg Texas for a laid-back family vacation that both kids and adults will enjoy. Fredericksburg has a rich, unique history and it’s impossible to visit the town without learning something along the way. Whether you’re lodging in a historic Sunday house turned B&B or delving deep into the town’s history, your family will leave with a new perspective of the past from the pioneer days to World War II. Homeschool moms, you’ll want to plan a trip, stat! I’m pretty sure I learned and retained more during this trip that I did an entire college history class. Below are a few of the highlights. Pioneer Museum Complex – Don’t let the kids miss this one! You’ll experience a taste of pioneer life that will garner appreciation for modern convenience. It’s also a real treat to watch the museum’s program director, Clifton, demonstrate toys and makeshift musical instruments of the era. Leave your inhibitions at the door of the Sunday house because he loves to volunteer guests for participation! 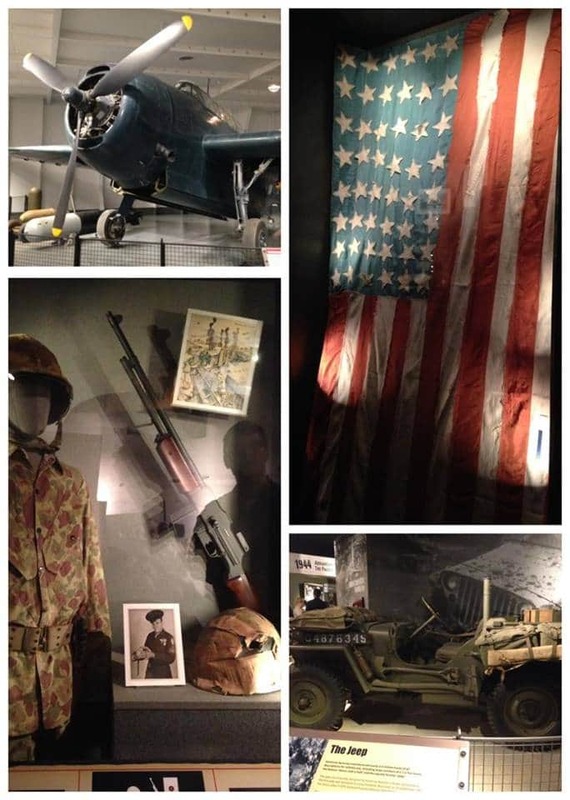 National Museum of the Pacific War – This 6-acre, 3-museum complex will make history come to life for your family. 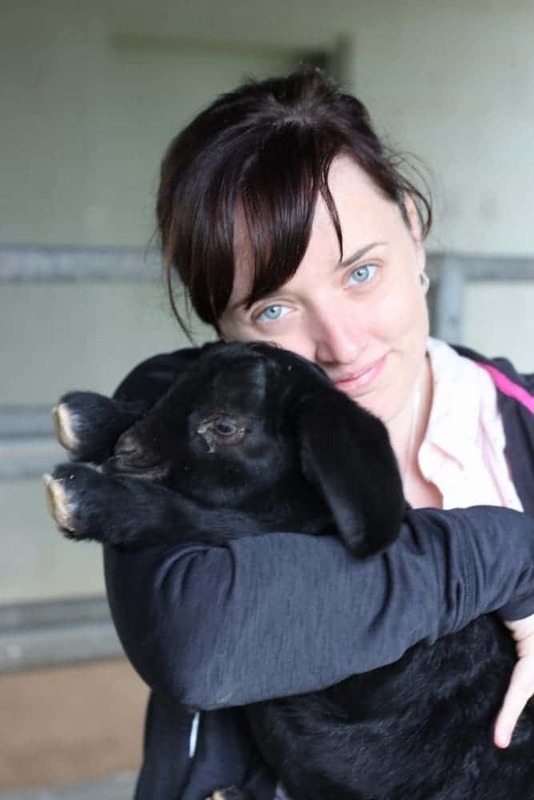 There’s so much to do and see that the option of a 2-day pass is offered. 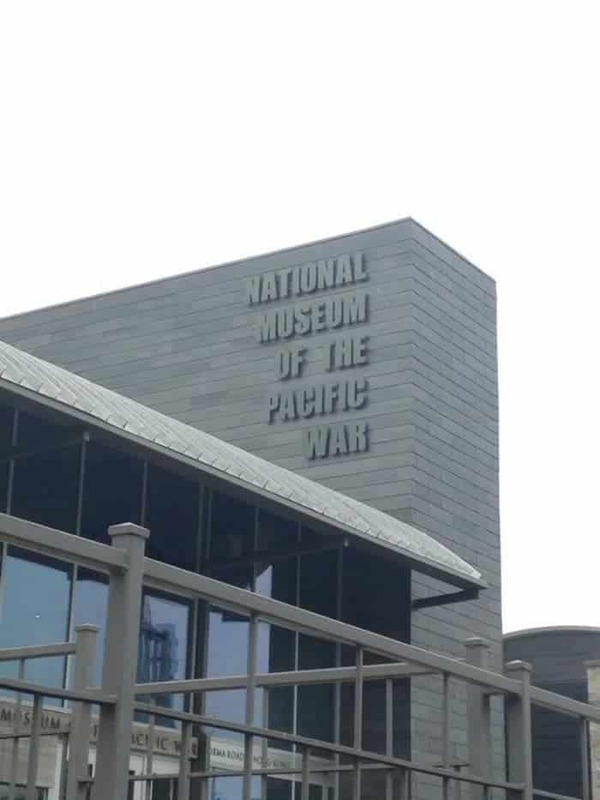 From the moment you enter the museum until you pause for a moment of silence in the Japanese Peace Garden, you’ll never forget the National Museum of the Pacific War experience. It’s something that will stick with you for life! 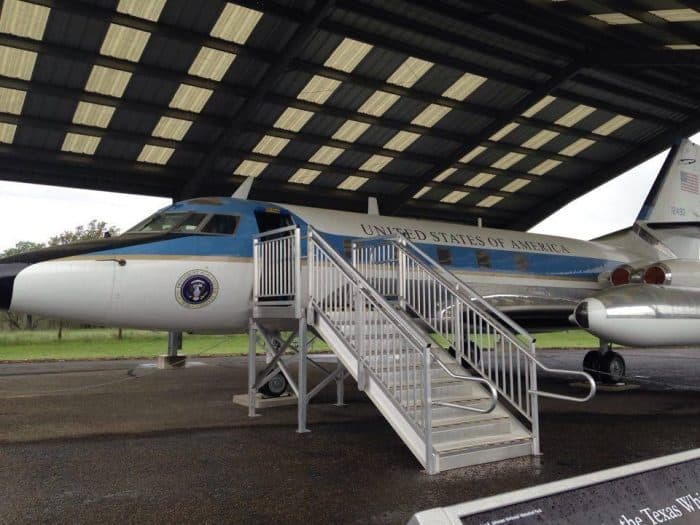 Lyndon B. Johnson National Historic Park – Possibly my favorite experience of the trip. Park rangers and employees have a love for the LBJ family that is almost tangible. After you’ve seen where the 36th president was born, raised, lived, and is buried, you’ll feel like you knew the man! Photographs are not allowed inside the Texas White House but don’t let that stop you from planning a tour. Preserved much in every way as it was during LBJ’s time there, his home even smells like history. I will name him George and I will love him and pet him and squeeze him. 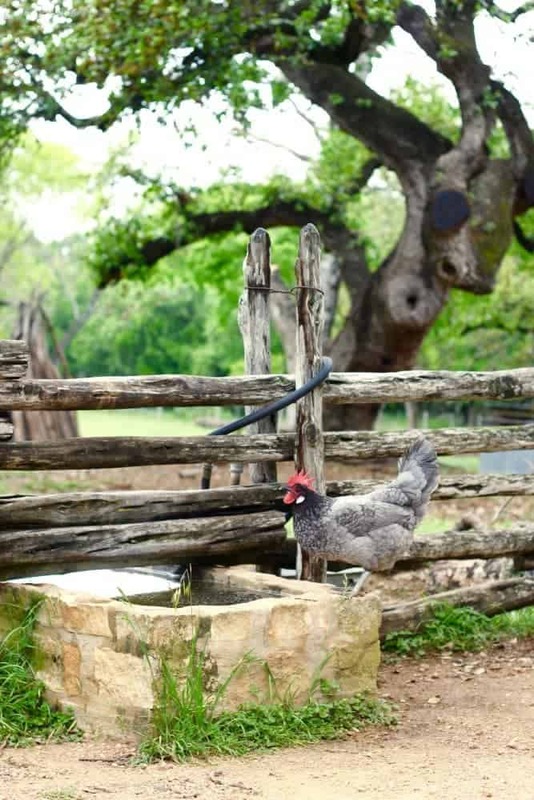 Sauer-Beckman Living History Farmstead – While you’re taking a little trip back in time, don’t miss this part of the Lyndon B. Johnson State Park! 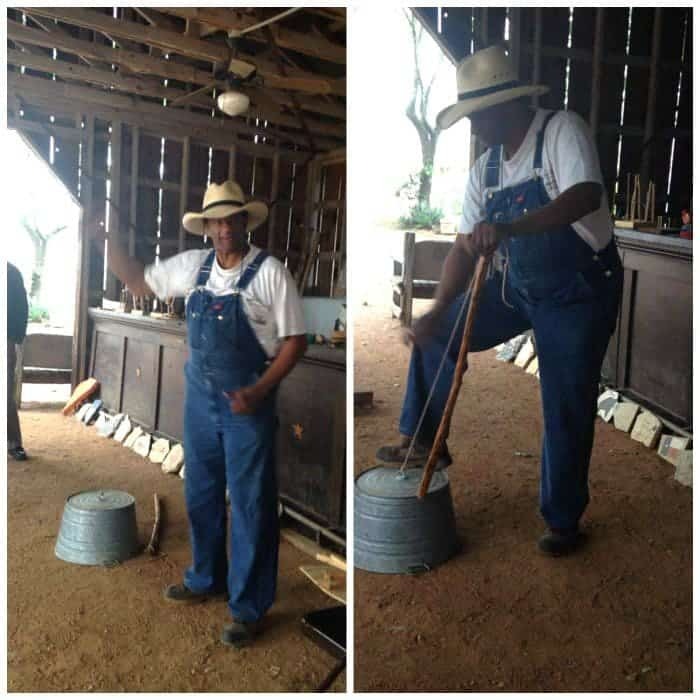 Interpreters at the Sauer-Beckman Living History Farmstead wear period clothing and do the all the farm and household chores as they were done around the early 20th century. When I say “all” I mean all. A meal for the workers is cooked everyday from scratch without the benefit of electricity or any modern conveniences. You’ll see how lye soap is made and how they preserve their meat using lard. You’ll go through the house and see what life was like during 1908 complete with a lack of indoor lighting (and consternation at attempting indoor photos. 🙂 ) This experience made me appreciate so much about modern living. 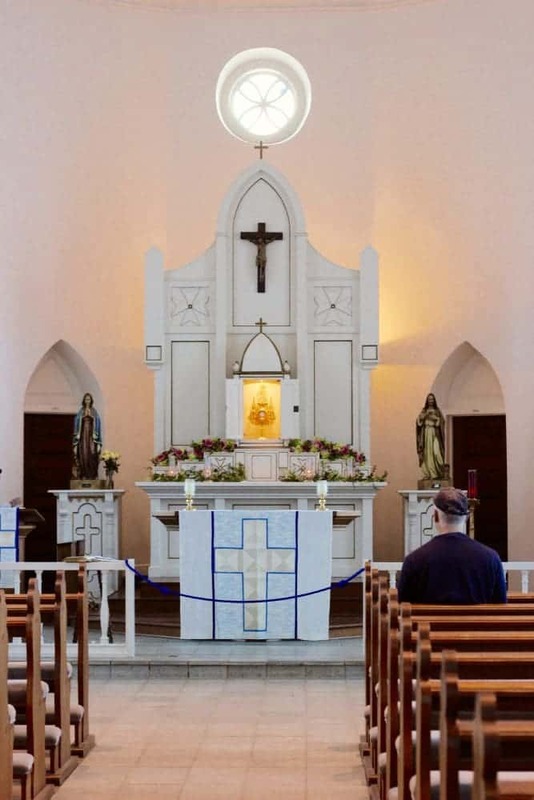 Old St. Mary’s Church – Built in cruciform style, Old St. Mary’s was built in 1860 and demonstrates a practical simplicity compared to gothic styles. 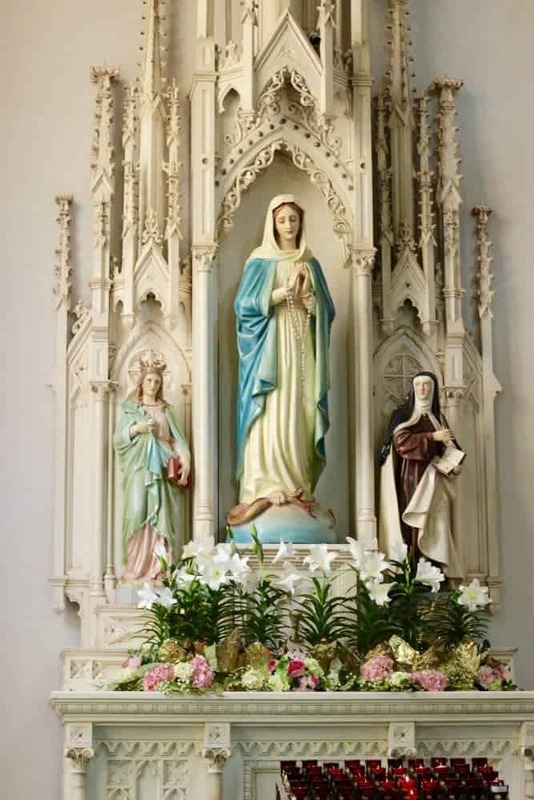 St. Mary’s Catholic Church – Built in 1908, St. Mary’s Catholic Church is only new in terms of the old. The style is infinitely more elaborate reflecting the growth in prosperity during that period. Fredericksburg provides some unique opportunities for outdoor pursuits, many of which can be enjoyed with kids. 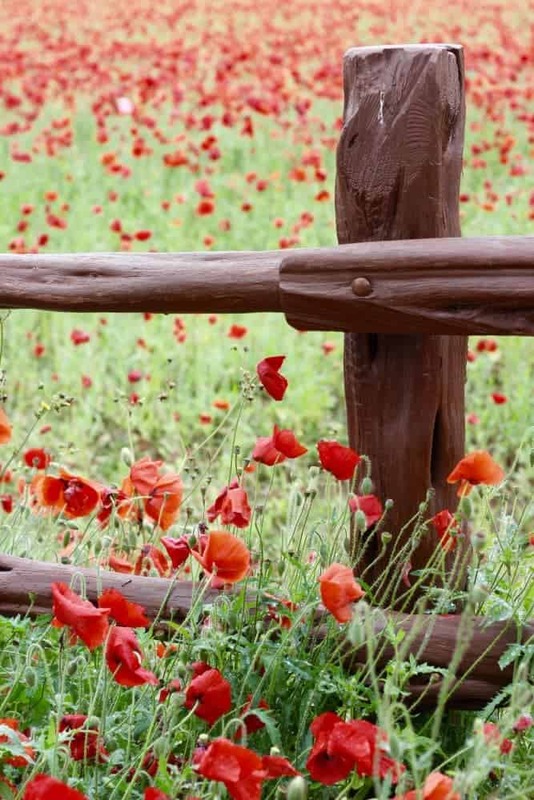 Wildseed Farms – There’s no better place to see Texas wildflowers in all their glory. Plan to relax and enjoy lunch at Wildseed Farms. 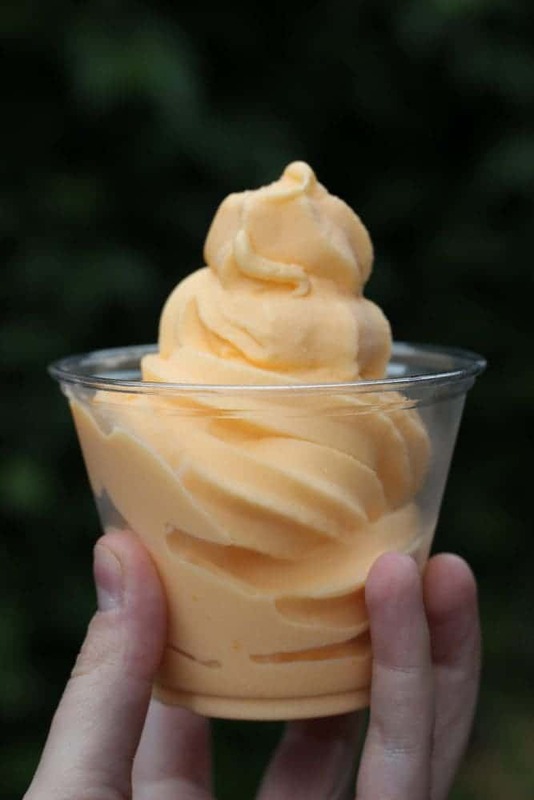 Don’t forget to try the peach ice cream! It was so good I had to try a bite before taking a picture which isn’t like me. Enchanted Rock State Natural Area – With hiking trails for various skill levels and world-renown star-gazing opportunities, Enchanted Rock is perfect for families to experience nature together. Grab box lunches from Opa’s Smoked Meats on your way there and enjoy a picnic and some geocaching. 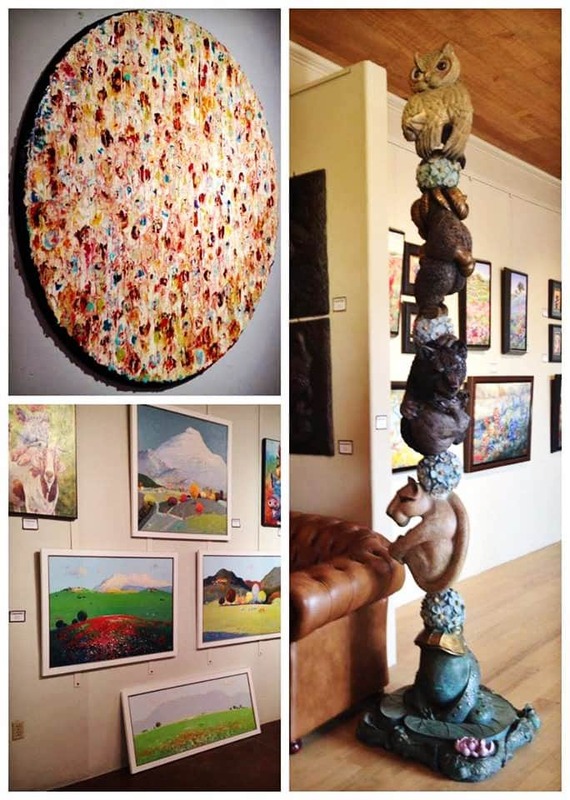 If your kids are old enough to appreciate art, enjoy an afternoon browsing Fredericksburg’s galleries together. InSight Gallery – Visit InSight Gallery and Benjamin will welcome you with open paws! 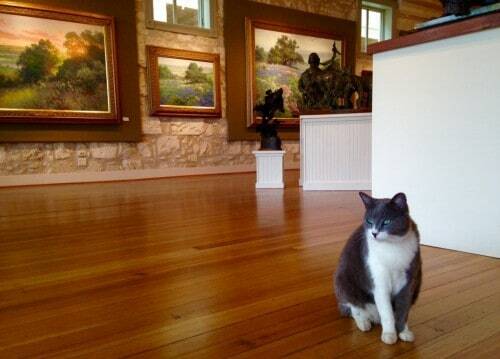 Boasting an impressive array of works from local painters and sculptors, you’ll leave InSight Gallery with a greater appreciation of art and a new feline friend. 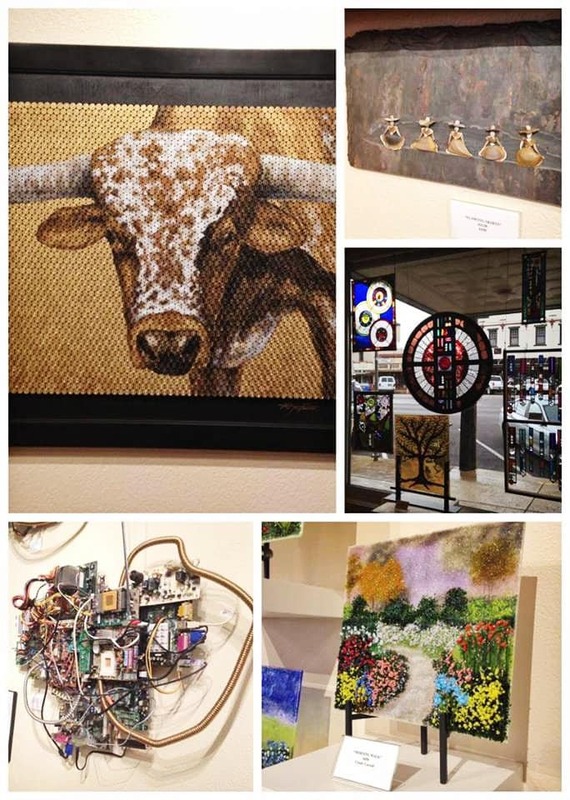 River Rustic Gallery – What I loved about River Rustic Gallery was the huge variety of mediums employed by local artists. From bullets to stones and even circuitry you’ll be amazed at some of the pieces. Perhaps a visit will spark some creativity in your little artist! Good ART Company – Good ART Company wins the award for “most things I want to put in my house” category. See if you can find a one-of-a-kind piece to remember your trip by! 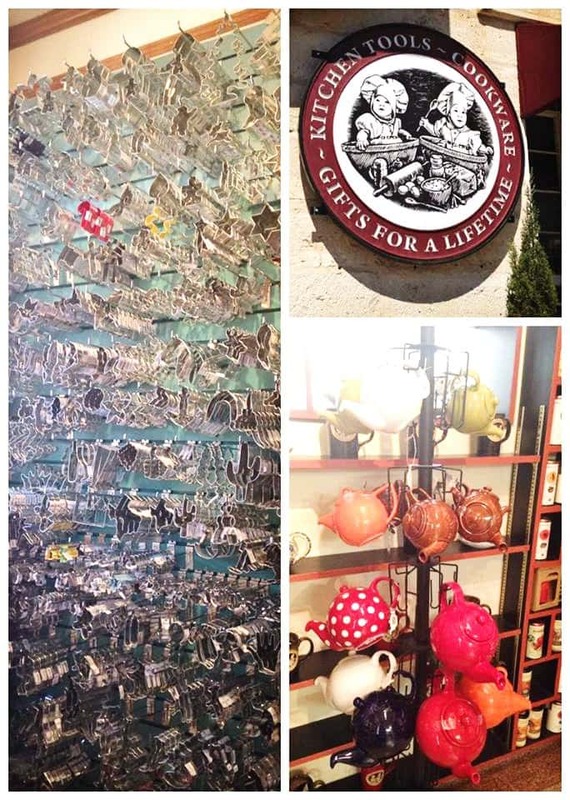 Fredericksburg boasts a huge variety of shops in the downtown area. Below are a few of interest for families with kids. 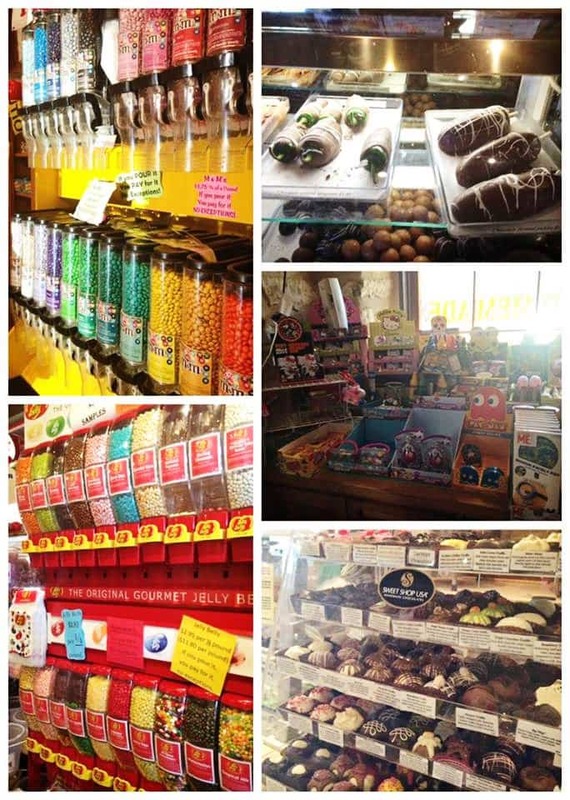 Lone Star Candy Bar – Stop by Lone Star Candy Bar for a taste of the gourmet, the colorful, and the bizarre. Chocolate covered pickle anyone? 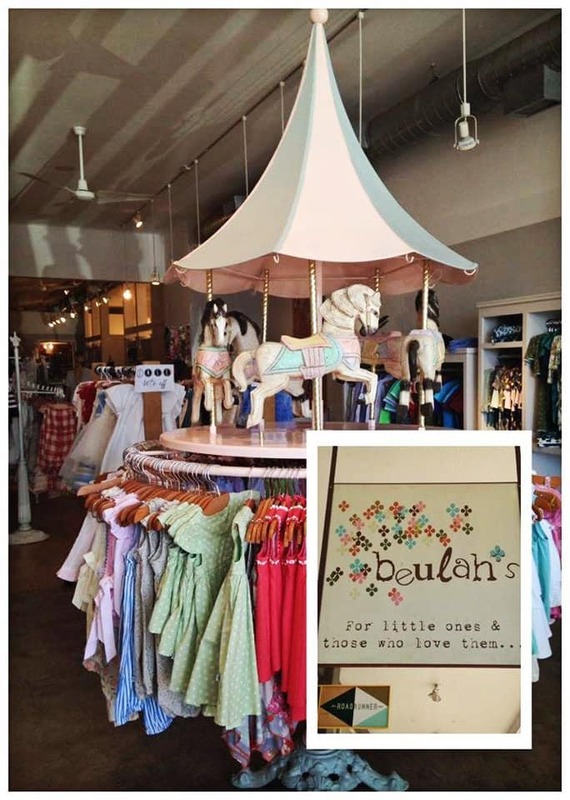 Beulah’s – Try not to buy all the things for the little one in your life. I dare you. Der Küchen Laden – Little foodies will have a heyday in the kid’s room. It devotes a whole wall to cookie cutters! 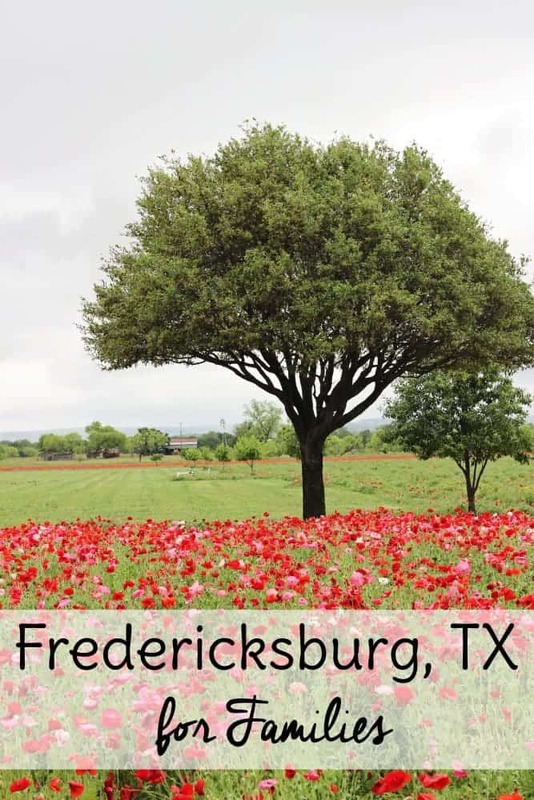 Speaking of foodies, if you’re wondering where to eat in Fredericksburg, Texas stay tuned “Fredericksburg for Foodies.” There are so many delicious options they deserve their own post!